If you’ve ever insured a property, you’ll know that arranging buildings insurance is based not just on your property’s ‘market value’ – the amount it would sell for today – but also its ‘rebuild costs’. This refers to the amount of money it would cost to rebuild or reinstate your property from scratch, if it was completely destroyed by an insured peril. Insurer Zurich has warned that some landlords are leaving their properties – and finances – exposed by incorrectly valuing these full rebuilding costs …and it’s complacency that’s to blame. The financial crisis and subsequently sluggish economy may have lulled landlords into a false sense of security, warns Jonathon Scotcher, Underwriting Manager for Real Estate at Zurich. “People are fairly relaxed about valuations at the moment because rebuilding index values over the last few years have gone in relatively fairly small steps,” he said. 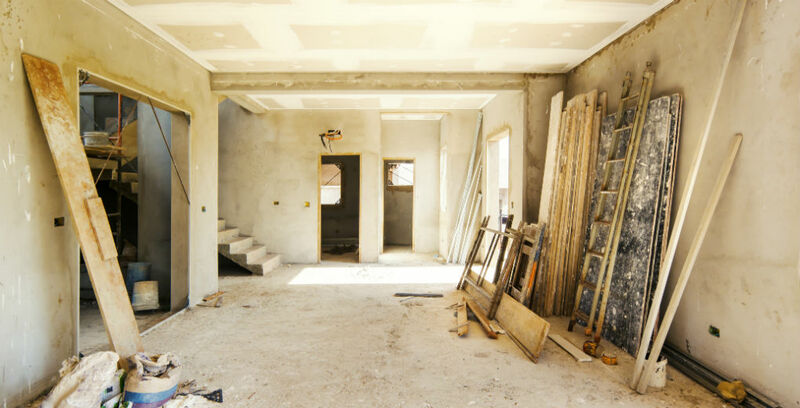 Your insurer will only pay out the amount you have insured the building for – so if you wrongly estimate the sums insured, and your property needs extensive rebuild work, you would not receive a big enough payout. Smaller claims will also be reduced by the percentage your building is deemed underinsured by. It’s not just the size of your building which dictates its rebuild cost. Though this will impact the amount of materials used, you also need to consider what they are – is it constructed from any specific or unusual materials? Also consider the building’s style, quality and location. Don’t forget to include the cost of labour, which will depend on the size of the project and how long it would take to rebuild from scratch. Recent changes in UK building regulations and stricter environmental laws may well mean your buildings would cost more to rebuild today than when you first insured them. Other geographical factors also make a difference – rebuilding costs will differ in the north from in the south, for example. Listed buildings, landmark buildings and those otherwise ‘outside the norm’ would need the attention of specialist construction workers and therefore need to be assessed on-site by experienced valuers. No matter the type of building you own or what it’s used for, an assessment by a professional surveyor is the most accurate way to arrive at a sums insured. This gives you the peace of mind that your insurance would provide the total rebuild cost if it was ever necessary. You should also revalue your buildings at regular intervals. At amb, we can arrange you an industry trusted Rebuild Cost Assessment, which takes into account the unique features of your property with either a digital or on-site expert evaluation. If you require a Rebuild Cost Assessment to ensure your property can be rebuilt at no additional cost, contact the amb team on 01782 740044 or email info@ambinsurance.co.uk.